Pedro Zamora changed lives.When the HIV-positive AIDS educator appeared on MTV's The Real World: San Francisco, he taught millions of viewers about being gay and living with AIDS. 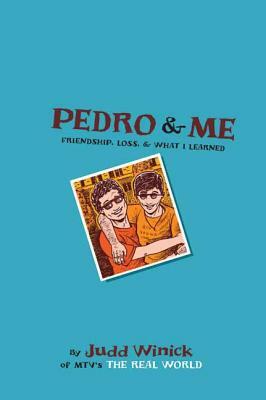 Pedro's roommate on the show was Judd Winick, who created Pedro and Me to honor Pedro Zamora, his friend and teacher and an unforgettable human being. First published in 2000, Pedro and Me was a graphic novel pioneer. Its moving portrait of friendship and its urgent message have already reached thousands of people. Now, Pedro's story is reintroduced to today's graphically focused culture with a gorgeous, eye-catching new cover and a foreword from Judd. Judd Winick is an award-winning cartoonist and the creator of the comic series The Adventures of Barry Ween, Boy Genius. He also writes for Batman, Green Lantern, and Exiles, and is the creator and producer of the animated series The Life and Times of Juniper Lee. He lives in San Francisco.